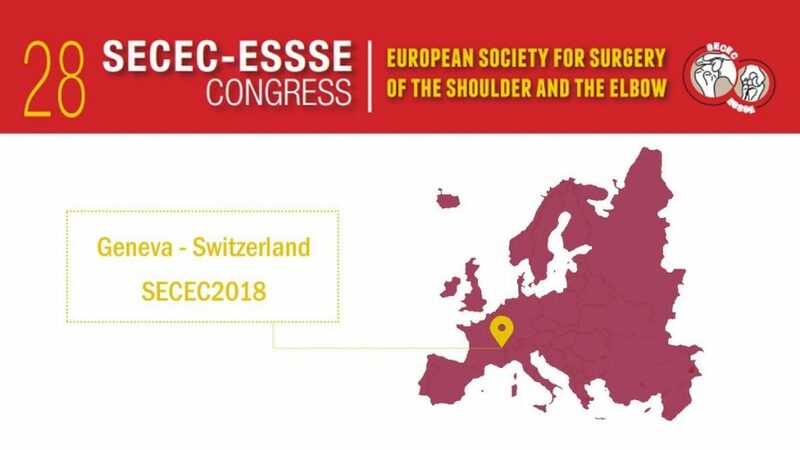 The 28th Congress of the European Society of Elbow and Shoulder Surgery (SECEC-ESSE) will be held in Geneva, (Switzerland) from September 19 to September 22. DyCare will be attending the event to present its innovative solutions to rehabilitation professionals and doctors who are specialized in upper extremity surgery. The congress is held in association with the Société Européenne de Chirurgie de l’Epauleet du Coude (SECEC) and the European Society for Shoulder and Elbow Rehabilitation (EUSSER). Dr. Marco Conti, a specialist in shoulder surgery rehabilitation and former president of EUSSER, recommends attending this event: “It is an opportunity to share knowledge and experience in shoulder pathologies, to learn about new surgical solutions and to compare different points of view about pre- and postoperative rehabilitation”. By attending numerous national and international rehabilitation and physical medicine events, DyCare has been able to contrast the different European markets, learn about new trends and establish direct contacts with rehabilitators, doctors, health centers and distributors. This edition of the SECEC-ESSSE Congress is a new opportunity to present its solutions through a stand (number 31). For the first time, the company will hold a workshop on its second product, ReHub. The workshop will take place on Saturday 22nd from 8 a.m. to 8:50 a.m. under the title “ReHub: the digital support to Physical Rehabilitation empowering patient’s adherence” with the aim of presenting the first digital solution that allows remote rehabilitation therapies to be performed, and to show their functionalities and applications for shoulder rehabilitation. “The workshops will focus on rehabilitation techniques, and among them, the revolutionary ReHub platform will be presented directly to the physiotherapists,” explains Conti. The Doctor expects that the vision and range of action of professionals will be expanded with the DyCare solution, giving them the opportunity to enhance patient involvement and improve clinical outcomes. Beside the opinion of Dr. Conti, DyCare counts on the opinions of the other members of its Medical Board, who trust in the many advantages that are offered by the world of tele-rehabilitation: Dr. Maurizio Calcagni, a specialist in hand surgery, highlighted in a recent interview the importance of following the rehabilitation process of the patient after surgery. It is precisely this idea that DyCare intends to transmit to the congress professionals. If you want to see first-hand how ReHub can improve therapeutic efficacy and reduce healthcare costs, do not hesitate to visit booth 31 during the congress. The DyCare team will be happy to assist you and answer your questions. See you in Geneva!